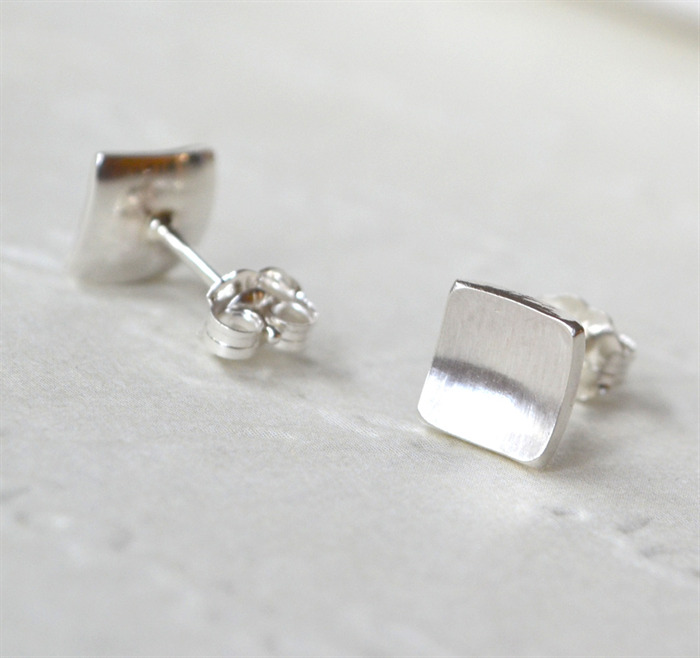 Concave Square Sterling Silver Studs 7mm by Arita Ghedini, "Daisy & Mister". 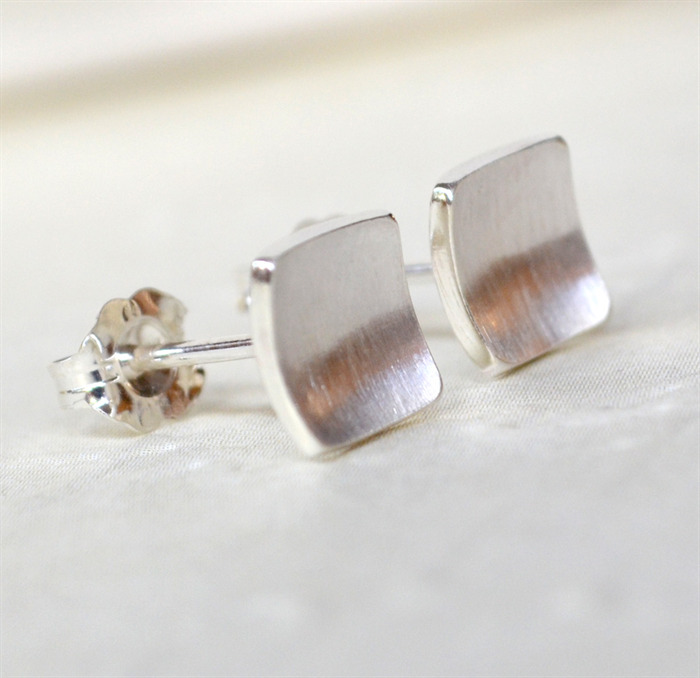 Stud earrings in a modern, classic style have been handcrafted from lovely thick Sterling Silver sheet which has been hand cut, filed and domed. 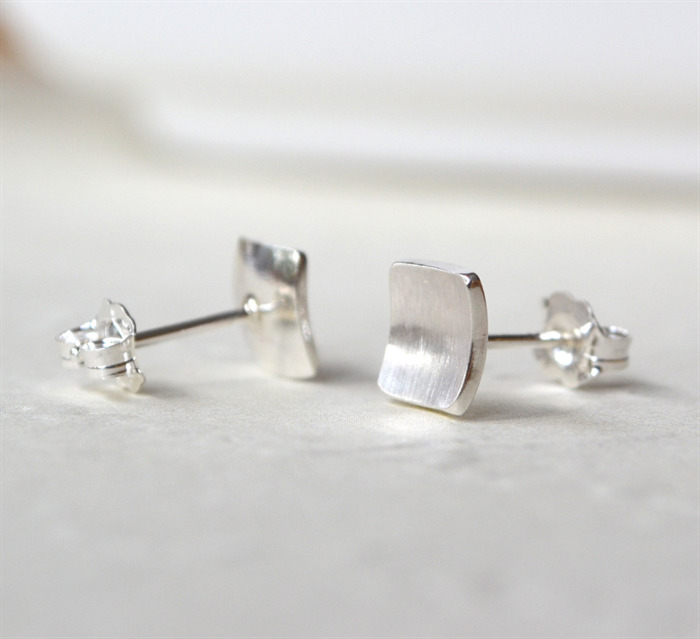 Stud backings (also in Sterling Silver) have been carefully soldered to the rear of the concave squares and are completed with easy use butterfly backs. A beautiful high shine has been achieved through hours of tumble polishing; a process which also ensures strength and durability. 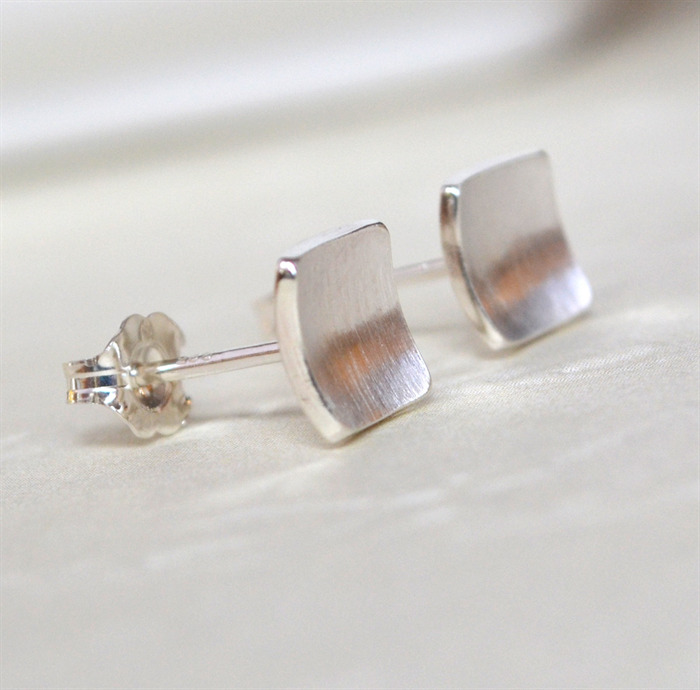 Finally a lovely soft matte finish has been applied to the concave interior, sides and rear of the earrings are high shine. 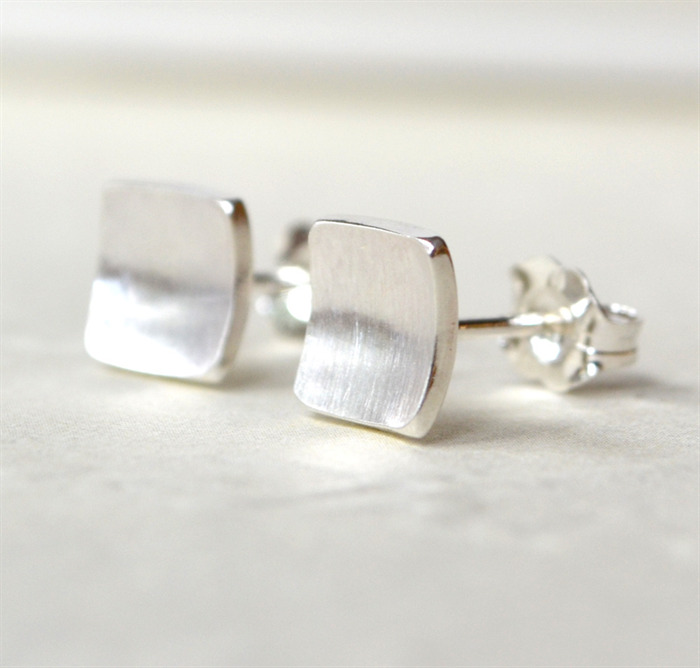 I love the understated nature of these earrings. Excellent for classic dressing in the corporate world, as a subtle compliment to a statement necklace or with jeans and a tee - casual everyday favorites. Your purchase will be delivered beautifully gift packaged in a deluxe keepsake box. Please select your preferred postage method on checkout. 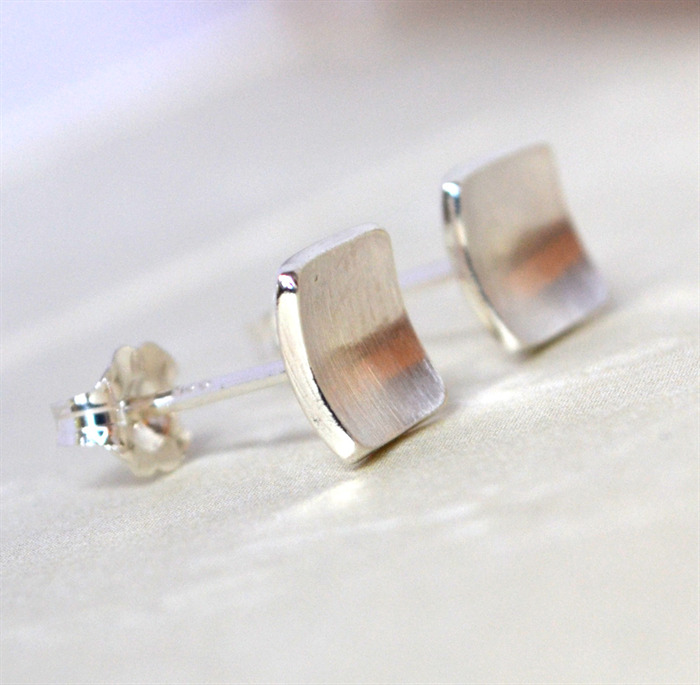 Both available postage options include tracking & signature on delivery (within Australia). Please contact me for a quote if you require insurance for your order.